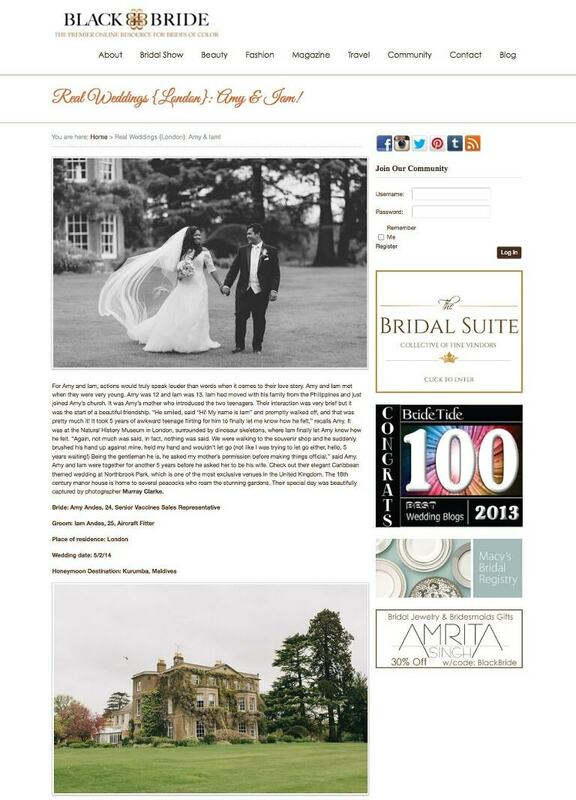 This week Amy and Iam’s wedding at Northbrook Park featured on the American wedding blog “Black Bride”. Thanks Charanna for featuring my work! Please click here to see the full article.